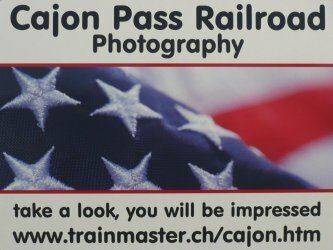 copyright by Kalmbach Publishing Co.
Below are 3 photos of the Cajon Pass Map published in the August 2011 issue of Trains Magazine. The copryright belongs to Kalmbach Publishing Co. and Bill Metzger. There are 2 corrections: Near Hill 582 the Track Numbers should be: Main 1 (not 2), Main 2 and Main 3. 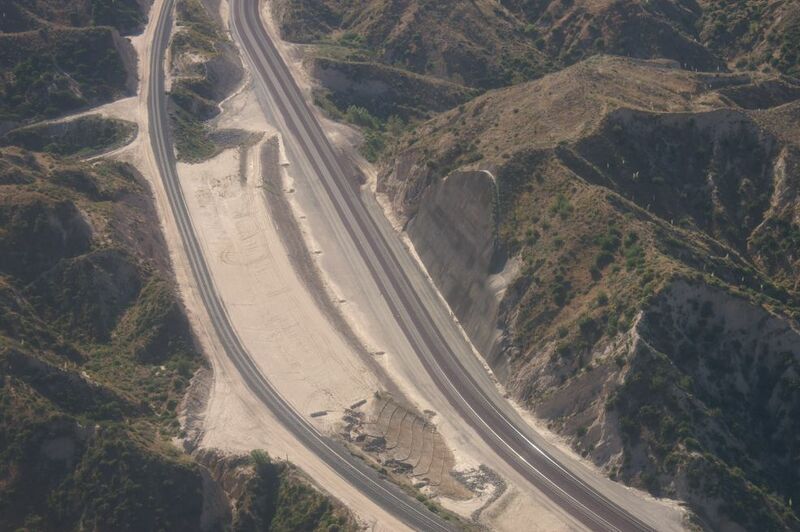 Wrong location of Stein's Hill: It is not inside the curve of Davis Ranch Road, but on the outside of Main 3 curve just above the Hwy 138 number plate. 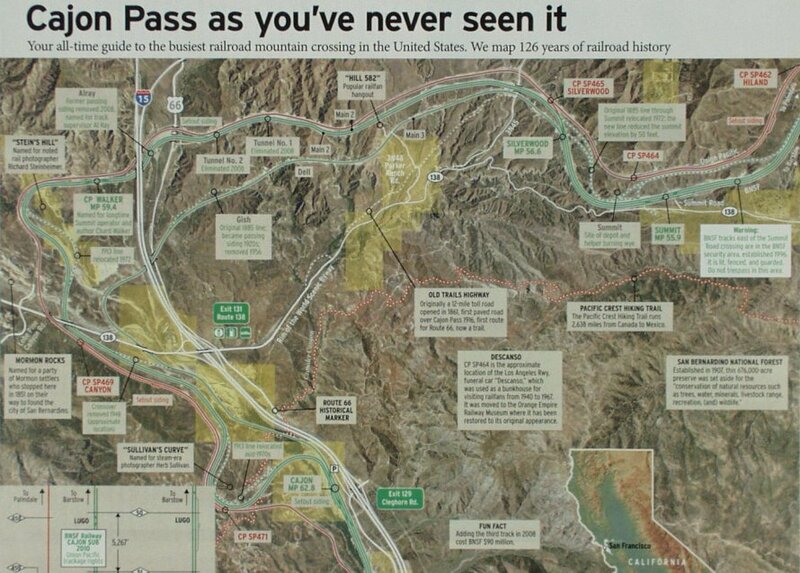 On the first photo of the foldout map, we can see the most popular spots of Cajon Pass. Starting at Summit and Hiland, going downhill pass Silverwood (incl. 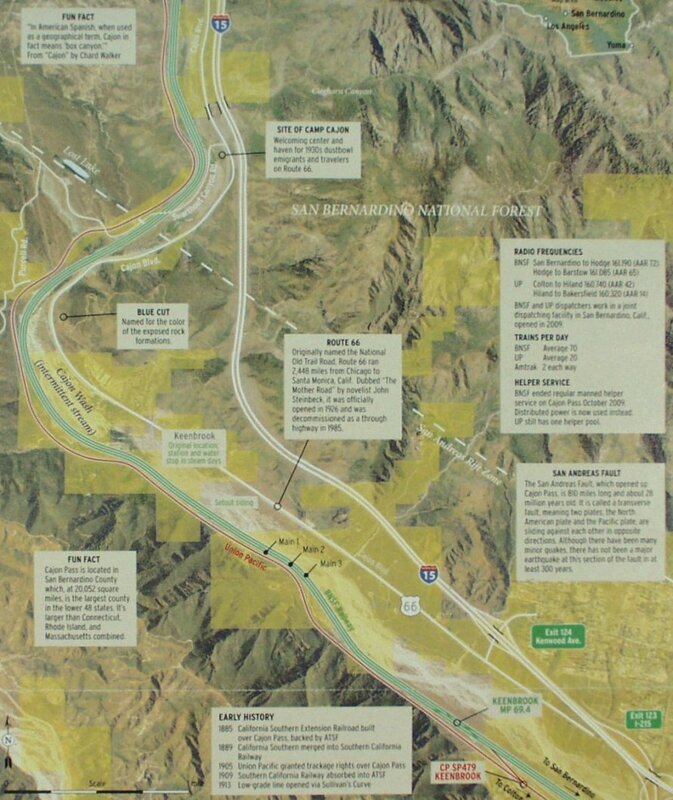 West Summit Island), famous Hill 582, former Tunnel area (Alray), CP Walker, Davis Ranch Road, Mormon Rocks, Stein's Hill on MT-3, Highway 138, Sullivan's Curve and Cajon Station (Junction) with Cleghorn Exit and Cajon Blvd. (old Route 66). 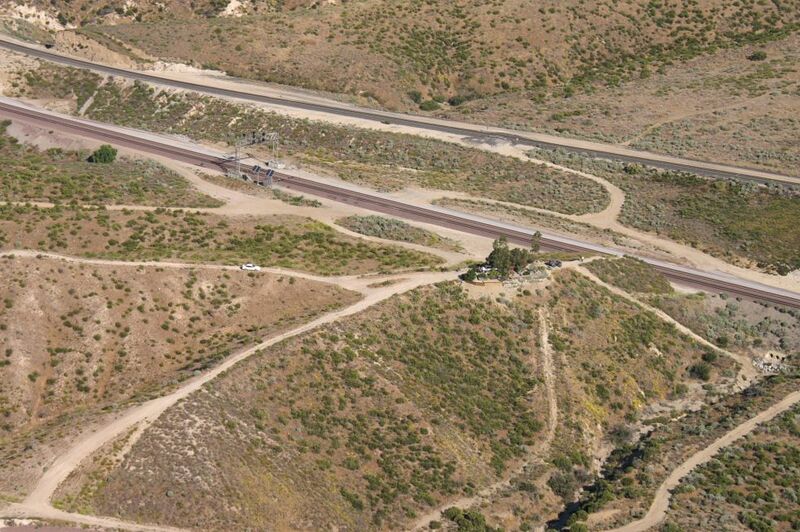 On the second photo we can see the lower Canyon with Swarthout Canyon Road Crossing, Blue Cut and Keenbrook. Here, Cajon Blvd. (Route 66) ends and we have to go on I-15 / I-215 (Exit Kenwood Ave.) until next Exit: Devore Road. Here, Cajon Blvd. 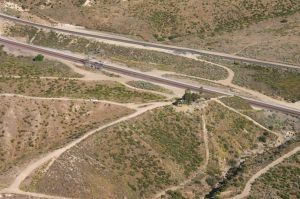 (Route 66) continues down to San Bernardino (along the tracks). 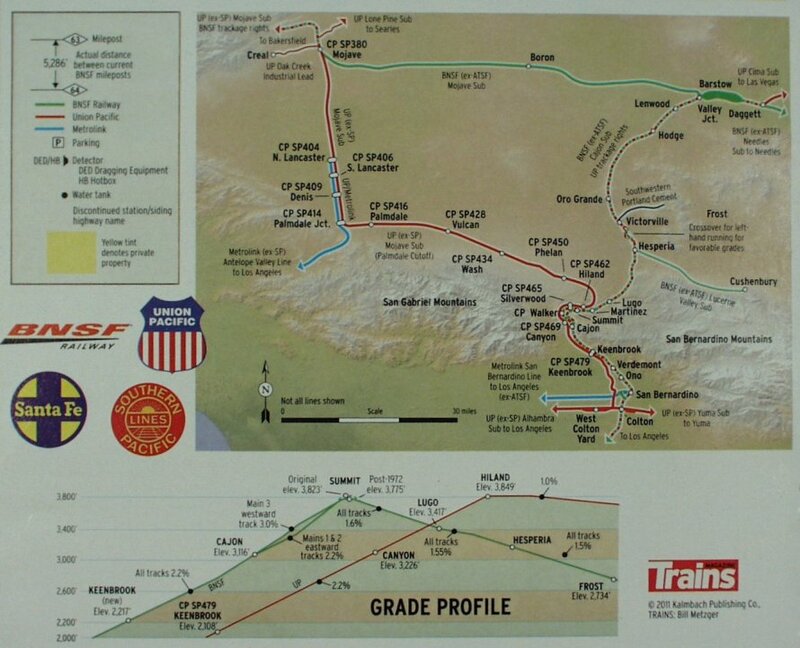 The third photo shows the overview map of the track location from San Bernardino over Cajon to Barstow, Palmdale and Mojave. 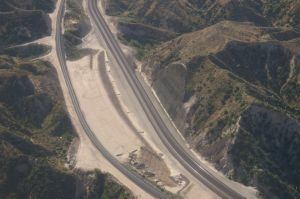 Belowe is the grade profile and elevation of the tracks over Cajon Pass.